Knowing there is something we can do to help, we decided to act on our hopes for better lives for members of these communities who have always been kind to us and lent new meanings to our ascents to the summit. It was not difficult finding other people with the same love for nature and compassion for the kids living in these mountains. In December 2007, we hiked on our new trail. 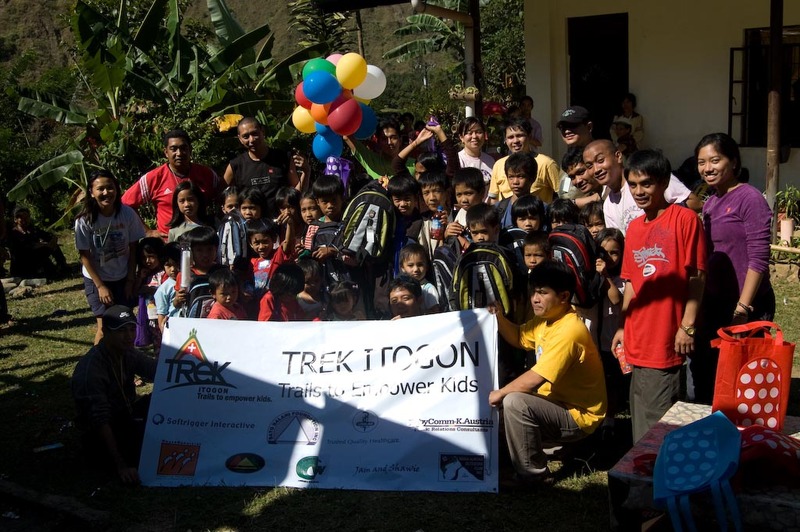 We called our group TREK or TRails to Empower Kids. From an initial group of seven, a few more friends joined us in organizing the outreach and delivering the donations. We also realized then that there was no dearth of individuals, even organizations, who are willing to help but finds it difficult to go out there themselves. So, we do it for them. High-spirited and lighthearted, we left Manila in the evening on December 7, 2007, at 10:00 PM on board a Victory Liner Bus. There were 12 of us in the group including the TREK founders JP and Rex and our friends Frankie, Toby, Doc, Dennis, Kim, Boy, Jherwin, and me. 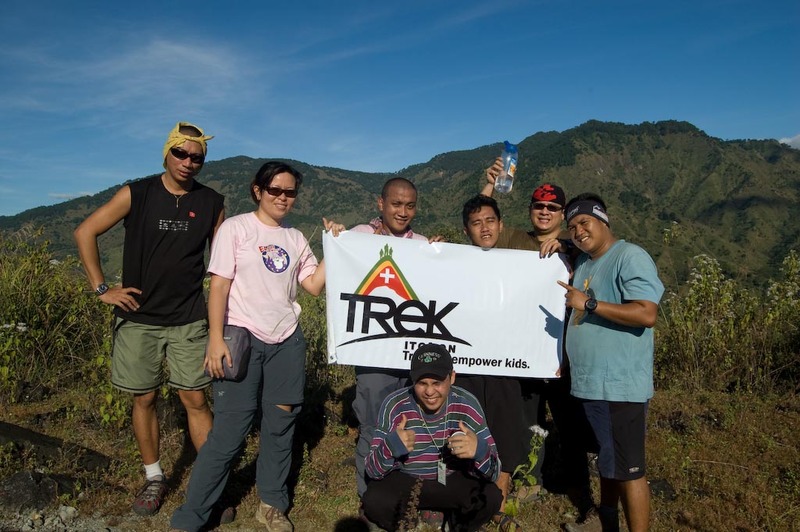 TREK founders Mimay and Noel, together with Ipe of the Maria Aurora Outdoors Club (MAOC) joined us in Baguio. 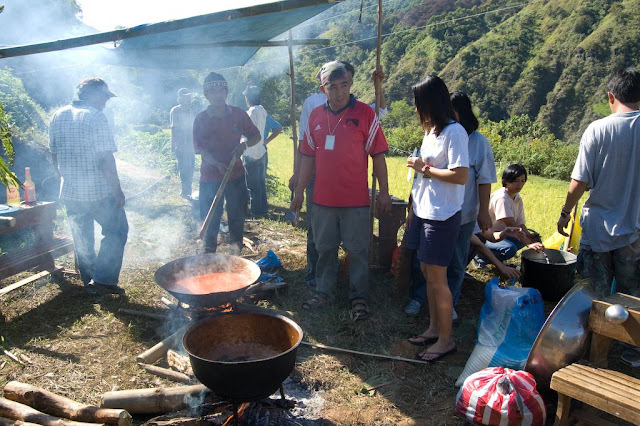 Itogon is located approximately ten kilometers from Baguio City. It is well-known because of its gold, rich land, and mountains. Among them is Mt. Ugo, a favorite for its beautiful trails, stately pine tree forest, and cool weather. Mt. Ugo is also the site of three aircraft crashes. Its other popular destinations are the Balatoc Mines and Binga Dam, which was included in the first group's itinerary. It was a nauseous ride for me to the jump-off point, but our cheery welcome from the Barangay officials got me excited, and it sustained me throughout the trek to Sitio Saybuan. We skirted hillsides with flowers blossoming on the trail; hanging bridges that are not for the faint-hearted, the longest of which about 90 meters long, with spectacular views of Agno River, the fifth largest river system in the country; and small rice paddies. We pitched our tents in front of the school's lone classroom, which serves students in grades one through four, and in the early morning, we had little guests peeking, staring at their very first visitors. 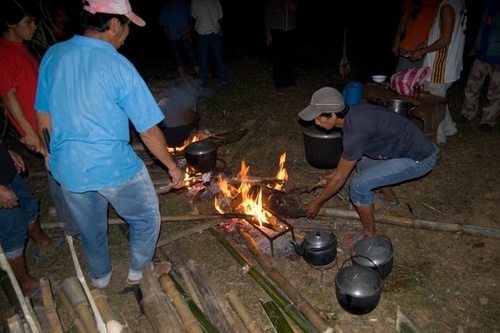 Sitio Saybuan is home to members of the Ibaloi, Iwak, and Kalanguya tribes. The residents here farm and occasionally pan for gold. Members of the community came to help us prepare our small feast. There was a lot of laughter, despite all the language barriers. The kids were very shy. When one of our volunteers, Toby, asked for a kid’s name, he cried. However, that vanished during playtime. The universal joy of games and laughter know no barrier and right then, we could already feel the children warming up to us, holding our hands and even giggling with us. We also noticed how different life is there. We played popular tunes, but they only responded to country music. We served typical party fare, but it flopped. Those were such eye-openers. 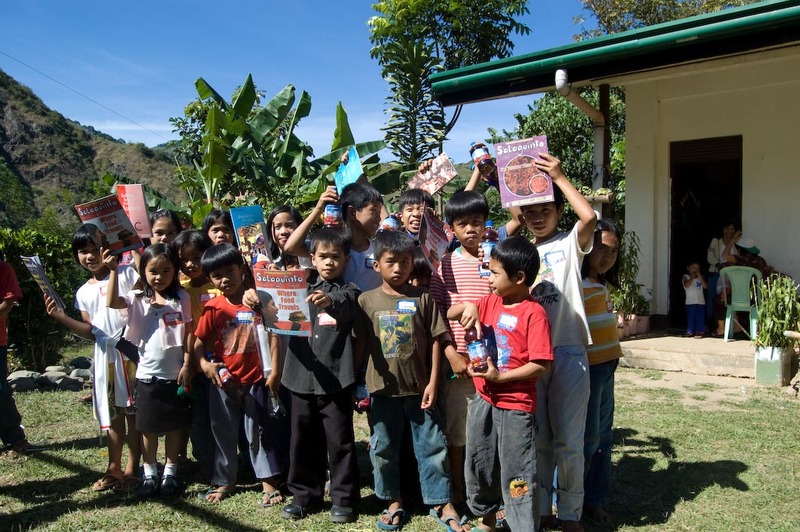 When we started distributing the donations to the children, we saw their little faces glow. It was so heartwarming. It was like how stories describe Christmas mornings when kids find toys inside their socks hanging on the chimney. We said our goodbyes after, some of us almost teary-eyed, especially after hearing the words of gratitude from the members of the community. We spent such a short time there in the village, yet we felt so sad leaving. 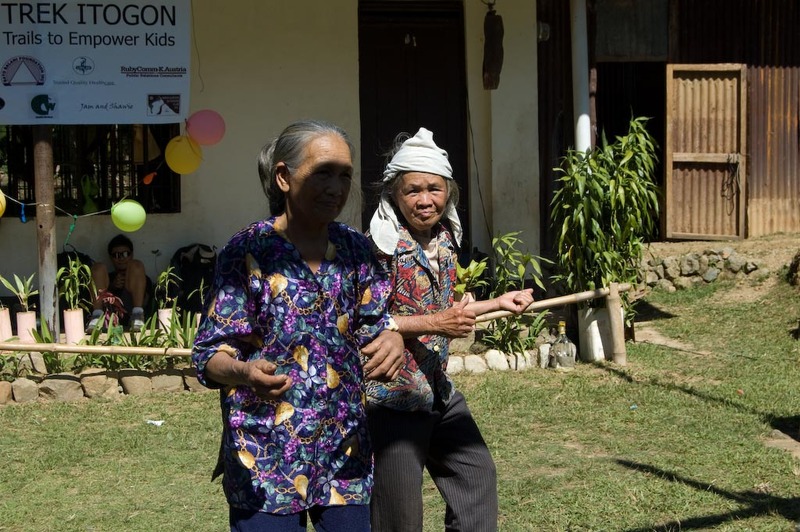 One of the village elders conveyed so much gratitude. In all her years, that was the first time their village was visited. She also related to us a plea for us to help, if we can, in the construction of the drainage near the school building. We took a different route back to the Barangay hall. It was a shorter but steeper route. We didn't mind, with lighter hearts and tons of happy memories and lots of laughter. We had time to reflect on all our joys when we reached the top of an unnamed peak near the barangay hall of Itogon. From here we see most of Itogon's natural wonders, - its peaks, the river down below forming the shape of the U and the barangay hall that brings us back to our own realities. That peak was a witness of the fond memories we shared; of the moments that rendered all our life concerns petty; of the times that brought us to realize the real important things in life; of the newfound depth in the relationship we now share, and of the recognized willingness to pursue this trail.